A modern take on the old classic delights. The bespectacled eyes of Doctor T.J. Eckleburg faded onto the projector screen and the full house went silent. His mysteriously golden eyes took center stage in the opening scene of the Erie Playhouse's performance of The Great Gatsby. The scene froze there as a formally dressed man walked onto the stage and momentarily stopped, mid stride, in front of the eyes. As the image faded away and the man exited the stage, a group of young men and women, wearing tailored suits and intricately beaded dresses, took its place. The audience was then transported to Long Island, circa 1922, when the nouvea riche were living larger than ever in the post World War I era, and Swedish House Mafia's "Don't You Worry Child" just happened to be playing softly in the background. Like 2013's film adaptation of the classic novel by F. Scott Fitzgerald, the Playhouse's production also featured modern pop songs, like Justin Bieber's "Beauty and a Beat." The rhythms were perfect for the Fox Trot, and the lyrics were altered just enough to be both scandalous for their time period and recognizable in ours – not much has changed about the kind of music moms don't want their kids listening to. As this first party scene closed, the audience had their first glimpse of the lives we would be looking in on for the next two hours. Nick Carraway, the story's narrator and protagonist, made an unexpected appearance at his cousin Daisy Buchanan's house. There, he listened to Tom Buchanan lecture on the superiority of the white race, brushed off Daisy's insistence that he should meet her friend Jordan, and showed the slightest bit of fascination at the mention of his neighbors name, Jay Gatsby. Here the characters are juxtaposed – Tom is the perfect mister to his mistress, Daisy is in love with everyone and everything besides her husband, Nick is the classic New York City dream-seeker, and Gatsby is both popular because of his money and isolated because of his choices. In this lovable band of misfits, Gatsby and Nick steal the show with a budding intimate friendship. Brendan Daughtry, who played Jay Gatsby, wore his pale pink suit with confidence, strode past adoring, curious girls with grace, and called Nick old sport so many times one would think there was actually some meaning behind the nickname. Nick, on the other hand, played by Dominic Del Greco, took on multiple roles for Gatsby's benefit – he acted like a little brother when Gatsby wanted to feel wise, a therapist when Gatsby needed to talk about his love for Daisy, and an unbiased bystander when Gatsby came up with another new version of the story of how he acquired his fortune. As Nick and Gatsby's relationship flourished, Tom and Daisy's marriage fell to pieces during the climax scene, when the whole crew visited the city for the day. 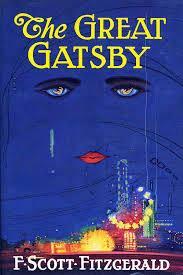 A loud fight between Tom and Gatsby ended with a knife, and Daisy's distracted road rage resulted in a dead mistress. Headlights flashed, Myrtle, the infamous mistress, collapsed, and a jazz version of Miley Cyrus' "Wrecking Ball" played in the background – a brilliant rendition of the story that has been told hundreds of times before. This modern production captured why this 90-year-old tale has stuck around for so long – there's always something we want that we just can't have, and someone there to show us why. Have a suggestion for something I should check out? Want to share your experience with The Erie Reader? Email me at ehartleb@eriereader and follow me on Twitter @elliehartleb.